Looking for a Hyundai dealer near you? Gettel Hyundai of Charlotte County in Punta Gorda, FL, also serving Port Charlotte, North Port, Venice and Fort Myers, is proud to be an automotive leader in our area. 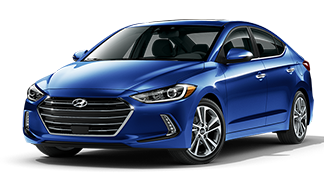 Originally Palm Auto Mall, Gettel Hyundai of Charlotte County looks to continue the commitment to our customers by offering a wide selection of vehicles and making the car buying process as quick and hassle free as possible. Whether you're looking for a new Hyundai or a used vehicle, we are here to help! No matter what you can trust that Gettel Hyundai of Charlotte County will get you into the car or truck you choose with utmost professionalism. Gettel Hyundai of Charlotte County has reliable Service and Parts departments open extra hours to help fit our customers' hectic schedules. As always, Gettel Hyundai of Charlotte County offers competitive pricing for your automotive maintenance needs. Customer satisfaction is our highest priority, and our staff is committed to achieving this goal in every aspect of our business. Please feel free to contact us at 877-230-3969 if you have any questions or comments.